끊어읽기 BAAM!! 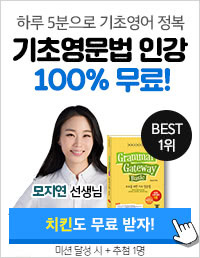 LC에 도움되는 끊어읽기 방법! 토익 LC 문장공부할 때 끊어읽는 방법입니다. 기초적인 자료일지 모르지만 저는 덕분에 좀 더 수월하게 읽고, 듣게 되었어요. 1. 주어 앞에 오는 부사구와 부사절은 주어 앞에서 끊어 읽는다. 1-a. Under these circumstances / we cannot carry out the plan. 1-b. To make matters worse, / it began to rain. 1-c. Waving good-by, / she got on the bus. 1-d. After he finished the work, / he went out for a walk. 2. 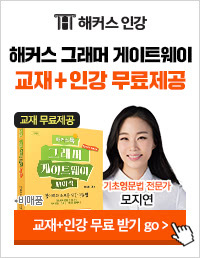 긴 주어 뒤에서 끊어 읽는다. 2-a. To work hard / is your duty. 2-b. Making much money / is not the end of life. 2-c. That he is a fool / is generally admitted. 2-d. What I'm trying to say / is Be happy. 3. 긴 목적어 앞에서 끊어 읽는다. 3-a. He told me / that he had finished the work. 3-b. Can you tell me / where I can catch my train? 3-c. If my mother knew / what I had done, / she would be furious. 3-d. If you asked most men / what their favorite sport was, / they would probably say / it was football. 4. 진주어 또는 진목적어 앞에서 끊어 읽는다. 4-a. It is very difficult / for me to do the work. 4-b. It is very kind / of you to invite me. 4-c. I find it quite impossible / to lie to her. 5. 접속사 앞에서 끊어 읽는다. 5-a. The problem was so difficult / that I could not solve it. 5-b. Tom attended the meeting, / but Mary didn't. 5-c. Will you lend me that book / when you're finished with it? 6. 관계대명사와 선행사 사이에서 끊어 읽는다. 6-a. This is the book / which I bought. 6-b. That is the house / in which I live. 6-c. I have a computer / with which I can make a phone call. 7. 삽입구나 삽입절의 앞과 뒤에서 끊어 읽는다. 7-a. He is, / I'm sure, / a really capable teacher. 7-b. Pusan, / the second largest city in Korea, / is famous for its beautiful beaches. 7-c. The concert, / which had been held at the Seoul Arts Center yesterday, / was excellent.